Atrium Health's contract with a new provider of anesthesiology services is now the subject of a lawsuit. The group of anesthesiologists that lost its contract to work at Atrium Health facilities is now suing the health system and the new provider of anesthesiologist services. Southeast Anesthesiology Consultants (SAC) and its management company, Mednax, allege Atrium conspired with the new anesthesiology provider, Scope Anesthesia, and its founder Dr. Tom Wherry. SAC takes issue with Wherry’s involvement because last year Atrium hired his consulting company, Total Anesthesia, to evaluate anesthesiology services. In early August 2017, Atrium informed SAC that it wouldn’t renew its contract. However, negotiations for a revise contract would continue, according to the lawsuit. A few weeks later, the lawsuit says Wherry’s recommendations to Atrium included physician cutbacks. SAC tried to implement those recommendations, but couldn’t do so without jeopardizing patient safety, the lawsuit says. Then, in December, Atrium signed a contract with Wherry to provide services beginning this July, a decision that “shocked” SAC, according to the lawsuit. “Atrium never revealed that Dr. Wherry or Total Anesthesia were preparing to become plaintiff’s competitors,” the lawsuit says. SAC, according to the lawsuit, provided Wherry confidential business information and trade secrets as part of the consultant’s evaluation. SAC physician anesthesiologists had a 37-year relationship with Atrium, formerly Carolinas HealthCare System. Wherry has told WFAE that he isn’t changing the doctor-patient ratio, and that the staffing models he proposed in August are different that what’s in his contract with Atrium. “The plan and the model is the exact same number of physicians will be there for the start of the day, the exact same number of physicians will be there at night and for emergencies,” he said. The lawsuit also claims SAC physicians’ agreements with Atrium include non-compete clauses that prohibit Atrium from hiring SAC physicians for a year after the contract ends. Those agreements also prevent those doctors from working in anesthesiology within a 20-mile radius of Atrium or affiliated facilities for two years. SAC has more than 90 physicians and the lawsuit claims this hurts them because they can’t work in the area. Wherry says he would like to hire SAC physicians, but can’t do so because of the non-compete clause. Atrium said in a statement the claims are without merit and the filing is an attempt by Mednax to distract from the true issues at hand. However, Atrium doesn’t say what the “true issues” are. It said it had been negotiating with Mednax for 18 months and the company refused several provisions that would have ensured patient safety. 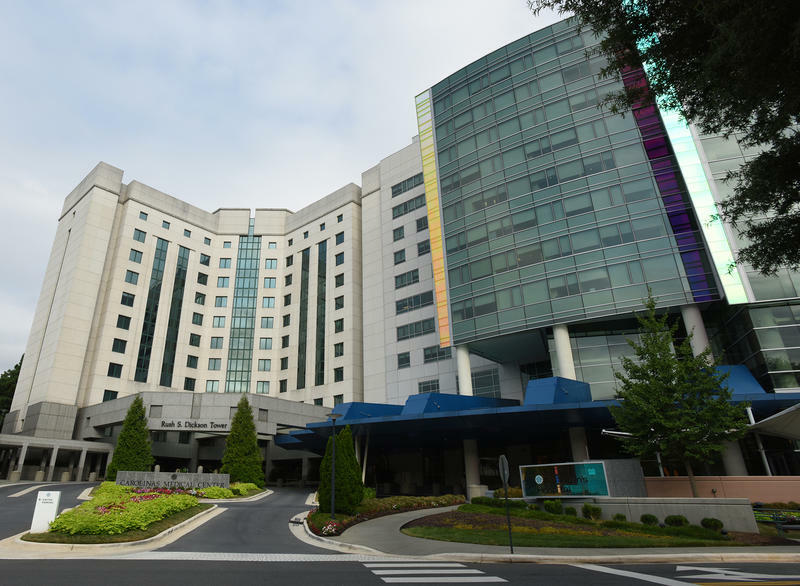 Atrium Health, formerly Carolinas HealthCare System, said it ended its contract with the anesthesiology group that’s been providing care at its hospitals and clinics for nearly four decades. At the heart of this, is a dispute over how many patients anesthesiologists should be caring for simultaneously. The fallout of Atrium's decision to end its nearly 40-year relationship with Southeast Anesthesiology Consultants and its parent company Mednax has spurred charges that the new company intends to reduce the number of doctors it utilizes — a claim that the new company taking over and Atrium denies.